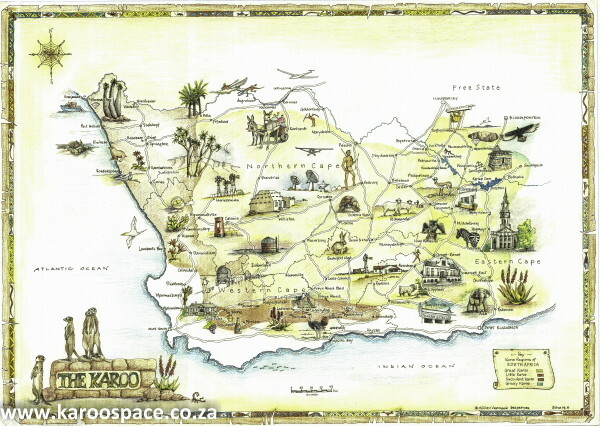 East, West – the Karoo is best. Signpost outside the Lord Milner Hotel, Matjiesfontein. 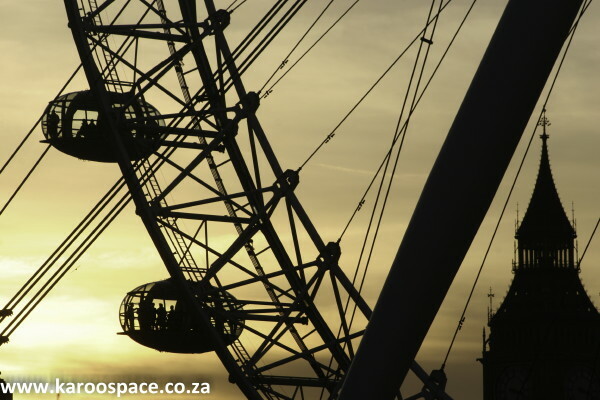 Busy international airports, shocking exchange rates, snarky sidewalk touts, expensive hotels, the sheer volume of summertime tourists, moustachioed pickpockets and those eye-watering restaurant prices – that’s the dark side of world travel for South Africans today. Money’s getting tighter, travel restrictions are piling up at every step of the journey, there’s less time for leisure and please, get that damn selfie-stick out of my face! And as you stand in a mile-long queue for a brief glimpse of the Mona Lisa, the Crown Jewels, whatever tourist-trap bauble that’s on today’s itinerary, you have to wonder: is this experience really so special? Ticket to the London Eye experience? Do you have R450 handy? Cue the piano accordion intro. Add some wide open spaces. Catch the last-light on a whirring Climax windpump. Greet the friendly sheepdog as he welcomes you to your farmstay. Sniff the aroma of a lamb chop done just right on the braai. Have another glass of pinotage. Here’s the Karoo – on your doorstep. Chill out. You’ve arrived at the Best Place on Earth: the Karoo. It’s funny how sometimes the most beloved destination in your world can be right there, under your nose. Here’s a short checklist of 12 reasons why you should be packing for the Karoo this summer. We’re all ready and waiting for you. 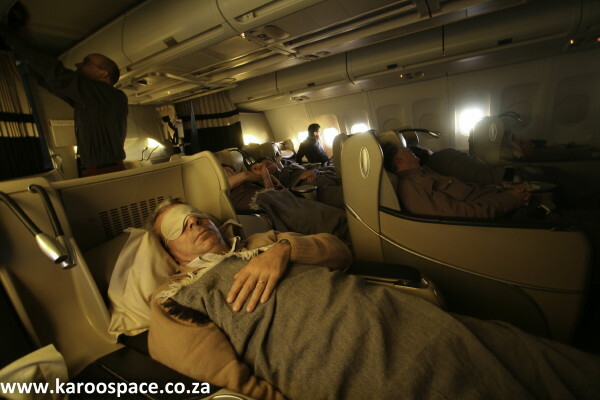 No long-haul flight to the Karoo for domestic travellers. Check your road map, your Google Earth or your GPS. Yes, we’re right there in the Middle Earth section of South Africa. We’re a day’s drive from just about anywhere in the country – and there’s no visa required. Just bring your good selves. 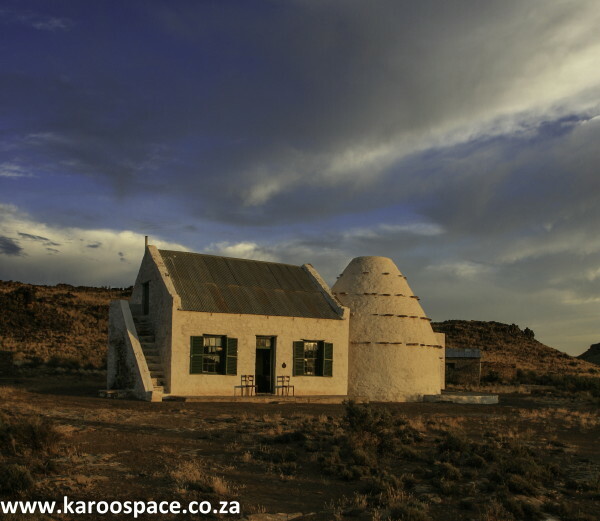 Sleep in a corbelled house at Stuurmansfontein outside Carnarvon. 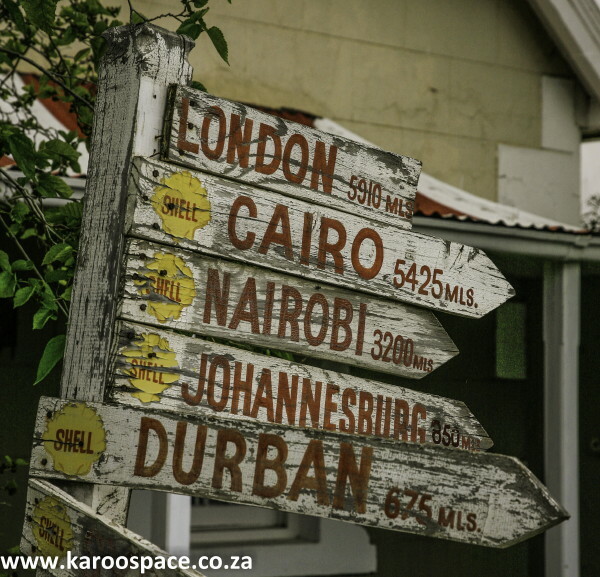 Nose around our Travel section on Karoo Space and Karoo Central and then move on to the websites of the Karoo destinations you choose, comparing the accommodation rates. You will find the best deals in the world here. We specialise in true value-for-money holiday experiences. When last did you pay R700 for a lovely self-cater cottage for two? The space magic of the Karoo. 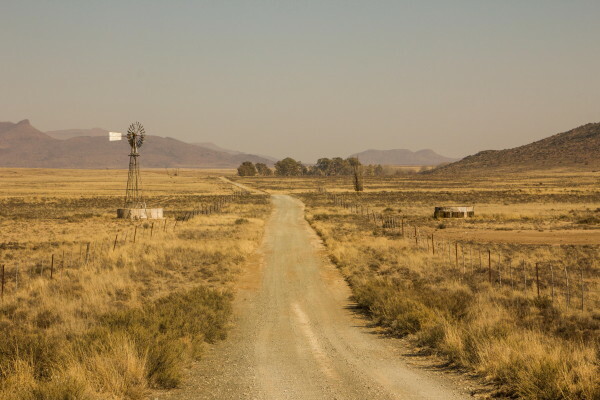 As you enter the Karoo, you will feel the security of pure space and wide-open horizons. 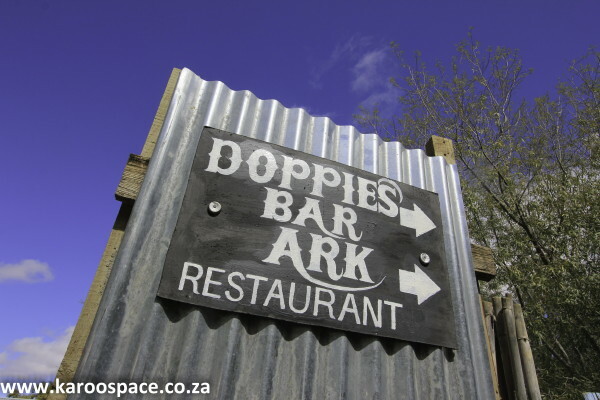 The Doppies Bar at the Williston Mall – an adventure all on its own. Whether you like to pedal your mountain bike over rough terrain, ride a well-bred Karoo horse across the veld, do the 250km Tankwa Camino walk from Calvinia to Ceres or simply hitch a lift on the back of a farmer’s bakkie as he goes to check the stock, there’s no shortage of physical adventure out here. There are even secret spots in the Karoo where you can fish for giant trout. 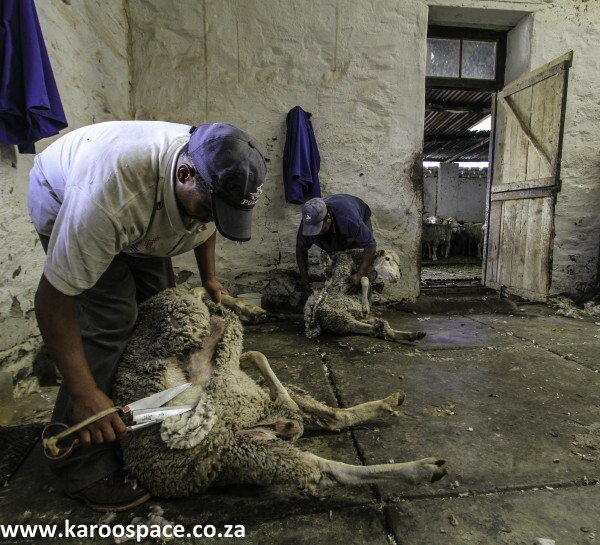 Shearing season at Groenvlei Guest Farm outside Nieu-Bethesda. This is not a place of glitzy casinos, cavernous shopping malls or cheap tourist traps. 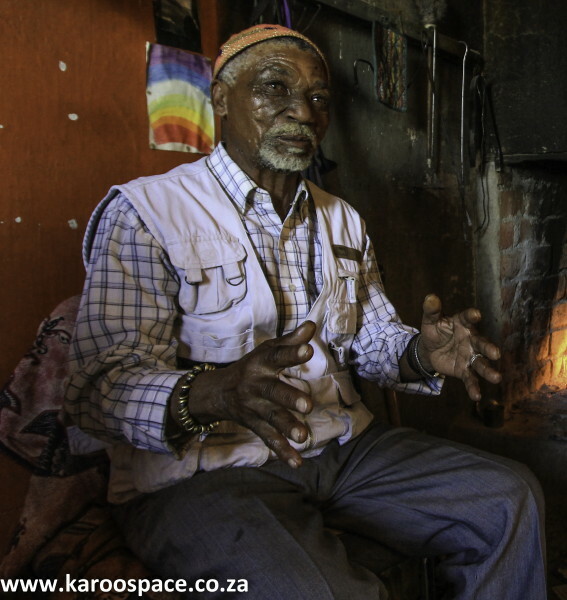 The Karoo specialises in “authentic”, from the donkey cart driver to the sheep-shearers hard at work in the shed to the blacksmith to the stockman who is pleased to share his fireside stories with you. 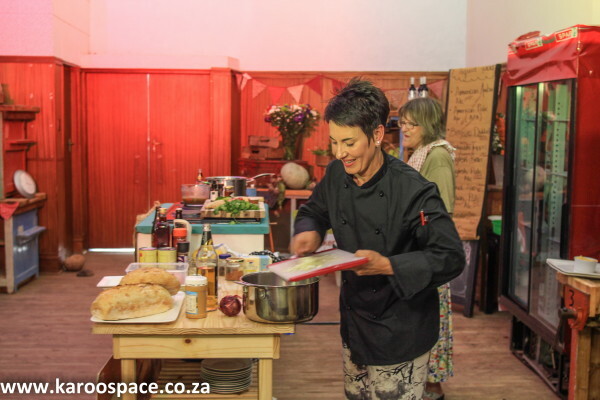 Bedford’s Marelise van Niekerk giving a great course on cooking with craft beer. Know one thing about the Karoo: we will feed you well. From the nationally-famous chefs on our farms and in our restaurants to our food festivals to simply finding a really great butchery for your braai meat, you will not go hungry. The Nama Riel at the Williston Winter Festival. 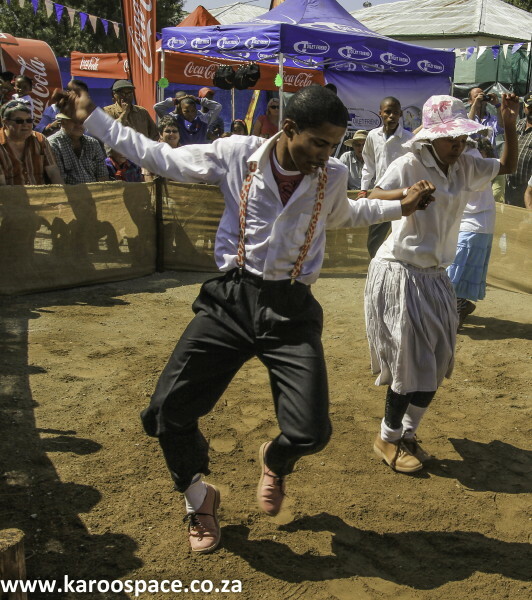 Once the Karoo wakes up in spring and moves into summer, it’s one giant party all over the place. We celebrate meat, books, the Nama Riel, custom-crafted wire cars, the first daisies of the season, agriculture and life in general at our festivals. It’s a great time to be in our neighbourhood. Welcome to the Land of Slow Travel. Whether you’re young or a “silver fox”, whether you like to ride a motorcycle, drive an SUV or a classic old roadster, a Karoo Road Trip has to be on your bucket list. Come to where it’s quiet – the Karoo. 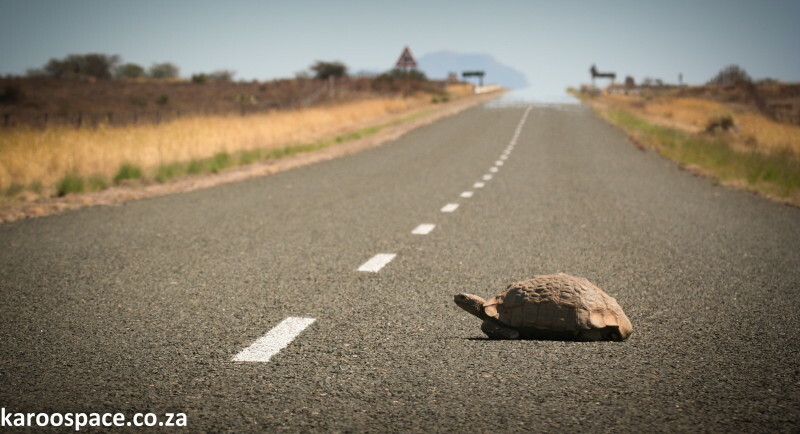 Rush hour in the Karoo means wide open streets, a bakkie in the distance, perhaps a lone truck on the horizon and a curious meerkat by the side of the road. This is where you turn off the TV news for a week and embrace the silence. Poultry-watching on Route 62 with the family. When last did you, the wife and the kids take a walk out into the veld together? 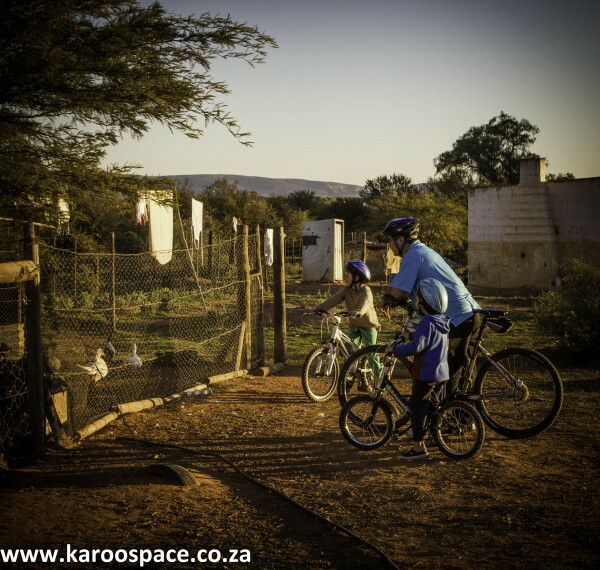 The Karoo is designed for family time. At the fireside with Oom Johannes Willemse of Theefontein Farm outside Beaufort West. From the ancient wisdom of locals to the cultural treasures in the small towns, from the viewpoints of a farmer who grew up in the Karoo to understanding pre-human life on this ancient sea-bed, there is a vast array of knowledge on offer here. 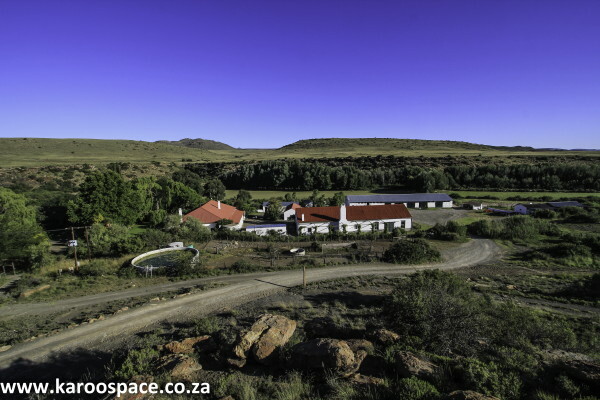 You will find your secret place in the Karoo – like Ganora Guest Farm outside Nieu-Bethesda. 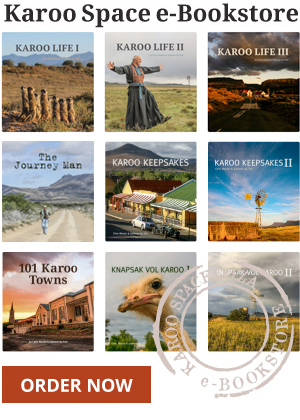 And once you’ve visited us a few times, you will have found your Karoo connection: the farm you love to stay on, the family you always have coffee with along the journey, your favourite national park, the friendly barman at that pub in the middle of nowhere and the padstal where you always pick up your biltong. PS: And when sanity returns to the Rand-Dollar-Pound-Euro situation we can all traipse off to foreign climes and broaden our minds. After coming back after 3 weeks travelling in Belgium and the Netherlands, I fully agree! South Africa has so much more to offer travellers in terms of diversity and nature (and the weather!)! And besides, all the European cities look the same – you get out of the station, you see the Grote Markt with all the cafes, then you see the belfry and then the old beautiful old buildings with red rooftiles – definitely a trip to do to see where your ancestors are coming from, but we have a beautiful country, even with all its problems and useless (corrupt) government. Thank you. Informative and an interesting read. I am sold on the idea of a crawl. Now just to put dreams into reality. Come on Fairy Godmother wherever you are!! Chuckled at no long haul & hoping mister tortoise got across safely. I was taken around a little by Eastern Cape photographer Steve Bailey – I can see why people love it. Thank you for all these beautiful photos and reminders of what really matters to me. 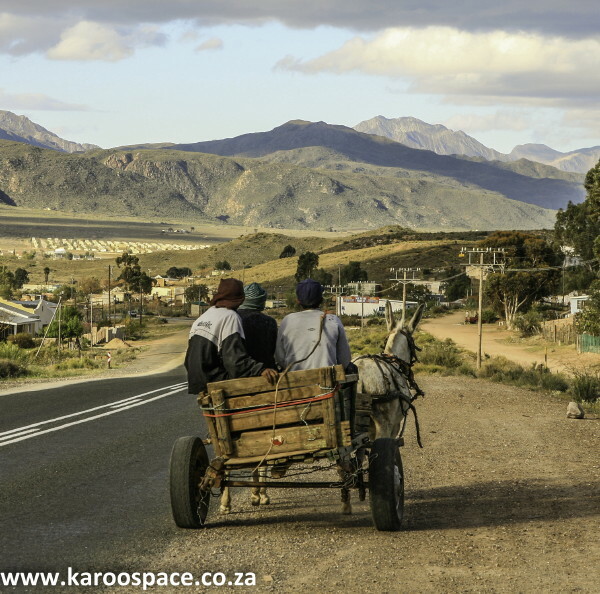 Photo captioned: The space magic of the Karoo – where are we? The Karoo is for me the best place in the world – so quiet, so beautiful and so spiritual – just like my wife Karin, who also came from the Karoo. I have been there many times and will return there again.